Quitclaim deeds offer minimal protection for the buyer. Assignment of a deed is the act of transferring that deed to another party and thereby transferring ownership. A quitclaim deed is a type of deed used to transfer real estate. In contrast to other deed types, the quitclaim doesn't offer any sort of protection for the buyer if someone else shows up with a claim on the property. The purpose of a deed is to provide tangible proof of the transfer of real property. The deed generally contains important information about the transfer, such as the date and parties to the transaction. 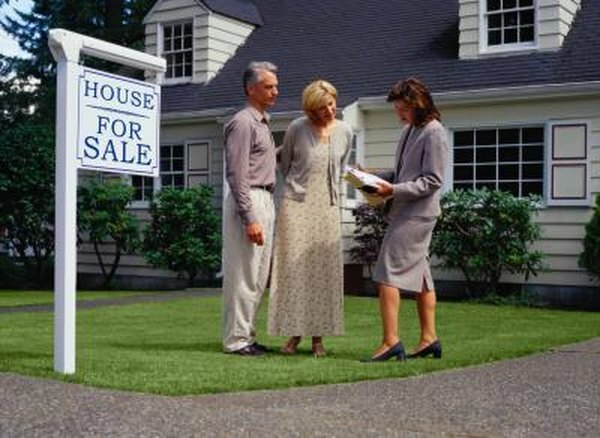 The deed, or an attached real estate transfer contract referenced in the deed, also contains any transfer-related promises that the seller and buyer have made to each other. To transfer the property, the deed must be signed by both seller and buyer. Assignment is the actual transfer of the property. For a deed to assign property, it must be delivered from the seller to the buyer. The deed doesn't need to be physically delivered; rather, delivery is a legal term for the seller's clear decision to transfer the property. Physical delivery is generally good enough, but a deed can be delivered in other ways: mailed, messengered, or placed in a safe-deposit box to be opened by the buyer. If the seller keeps the deed and there's no evidence that he intended to give it to the buyer, the law won't recognize delivery, and the transfer won't take place. Most types of real estate deeds offer certain assurances to the buyer. General warranty deeds, for example, provide six warranties, or promises, designed to protect the buyer if a third party shows up with a better claim to the property than the seller. Among other promises, the seller warrants that he owns the property and that if such a third party shows up to stake a claim on the property, the seller will do whatever is necessary to defeat his claim, or make the buyer whole. The quitclaim deed offers none of the warranties listed above. A quitclaim deed transfers all of the seller's rights to the property, but the quitclaim buyer has no guarantees that the seller has the right to transfer the property to her. If a third party appears and claims the property, the quitclaim buyer will be left to her own resources in defending against that claim. If the third party's claim proves to be superior to that of the seller, the buyer has no legal redress against the seller based on the deed. Note, however, that if the seller and buyer executed a contract separate from the deed, in which the seller made promises about his title to the property, this contract may be a basis for the buyer to sue the seller. Beach Pacific Escrow: What Is a Quitclaim Deed?